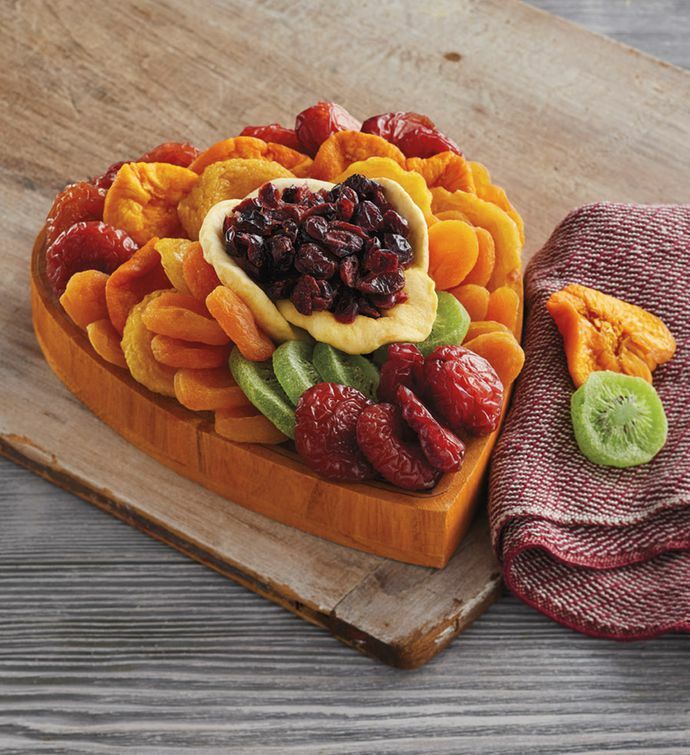 Featuring an assortment of the finest fruits, this dried fruit arrangement is a delightful addition to any table. The assorted dried fruits in this fruit gift include red plums, pears, yellow peaches, and apples, as well as dried kiwi for a unique touch. 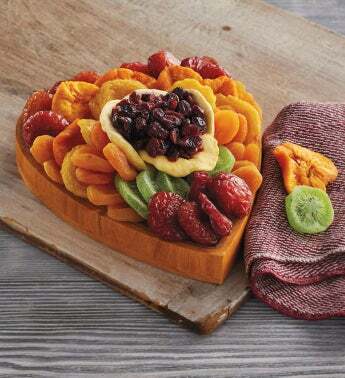 The fruit is tastefully presented in a reusable heart-shaped wooden tray.